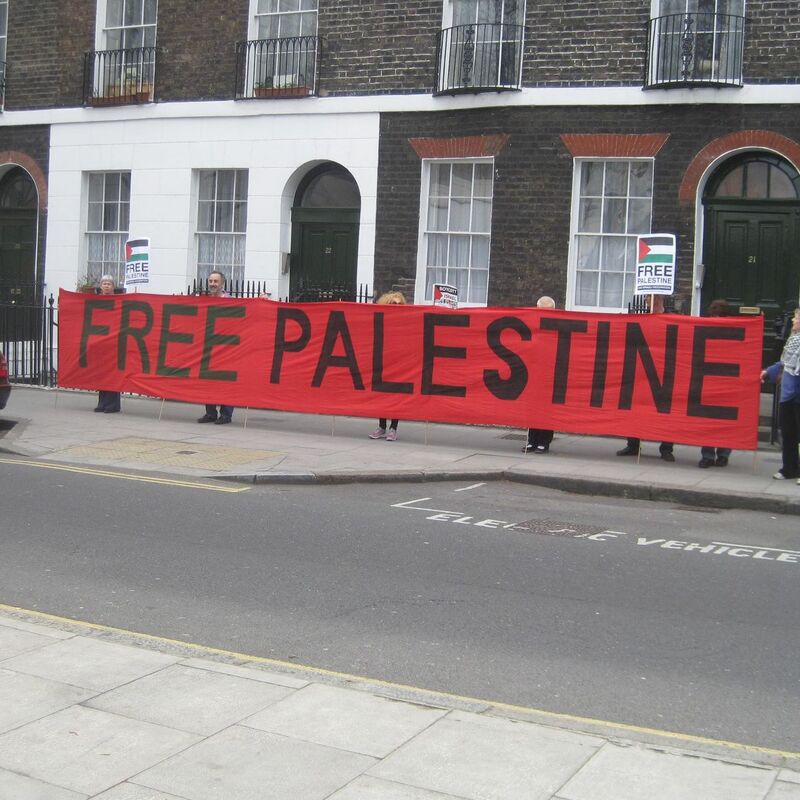 The image used to illustrate Gill Kaffash's publicly available Facebook page, of a 2011 pro-Palestine demonstration. 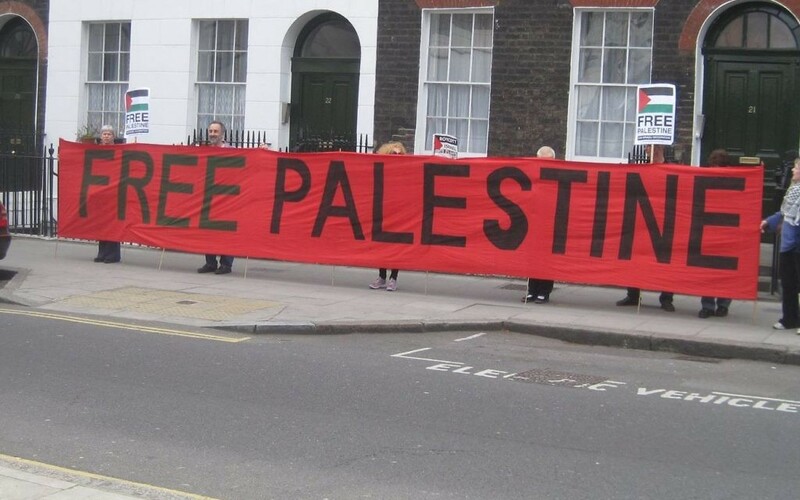 The image used to illustrate Gill Kaffash’s publicly available Facebook page, of a 2011 pro-Palestine demonstration. Labour has blocked the membership of a party activist after she promoted Holocaust revisionism and received praise from self-confessed denier Paul Eisen, Jewish News can reveal, writes Justin Cohen. Gill Kaffash, registered with the party as ‘Gillian el Kaffash’, has been rejected by the Holborn and St Pancras branch of the party. Her appeal against the decision was turned down by the party centrally last week. The former secretary of the Camden branch of the Palestine Solidarity Campaign was also publicly thanked by self-confessed Holocaust denier Paul Eisen, who Jeremy Corbyn distanced himself from after it emerged he had once attended events organised by his Deir Yassin Remembered organisation. The Labour leader made it clear at the time he had no current contact with Eisen, adding that denial of the Holocaust is “vile and wrong”. In the notes to an article entitled ‘My Life as a Holocaust Denier’, Eisen publicly thanks a list of people including Kaffash for having “openly and repeatedly demonstrated their solidarity”. During an address to the Seek speak Spread Truth conference in 2013, she said she was a “little bit offended” to be accused of being an anti-Semite “because they had hardly anything against me”. The latest case comes after the suspension of four members over the last month as they party cracked down. They include Gerry Downing, who posted material on “the Jewish question” and Woking Labour vice-chair Vicki Kirby after the Guido Fawkes website revealed she had been readmitted despite posts suggesting Jews having “big noses” and that Hitler might be a “Zionist God”. Labour has also launched a probe into allegations of intimidation at the Oxford Labour Club. Shadow Chancellor John McDonnell has called for lifetime bans on anyone found responsible for anti-Semitism.